Motherboards with an integrated video controller are a popular choice for building a budget computer for an office or Internet cafe, as they do not require a video card. The onboard controller, however, is not adequate for playing 3D computer games or for using other graphics-intense applications. Upgrading involves an installation of an expansion video card. Peripheral Component Interconnect Express, or PCI-E, is the current interface standard for expansion video cards. Log on to Windows with the administrator account. Click "Start" at the lower left corner of the screen and then choose "Control Panel." Click "Hardware and Sound" and then "Device Manager." Expand the entry "Display Adapters" by clicking on the "+." Right-click on the adapter name and choose "Uninstall." Click "OK" to confirm. Click "Cancel" to decline the restart prompt. Then click "Start" and choose "Shut Down" to power off the computer. Remove the cover of the computer case. Computers are shipped with a variety of case designs, so refer to your computer manual for instructions. 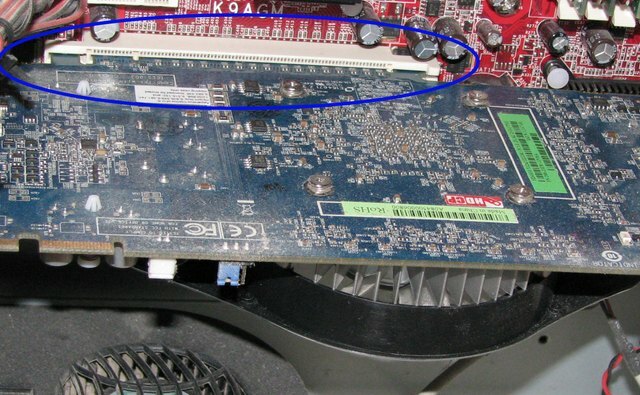 Insert the video card into the PCI-E slot of the motherboard. Secure the video card with the 4mm screw. 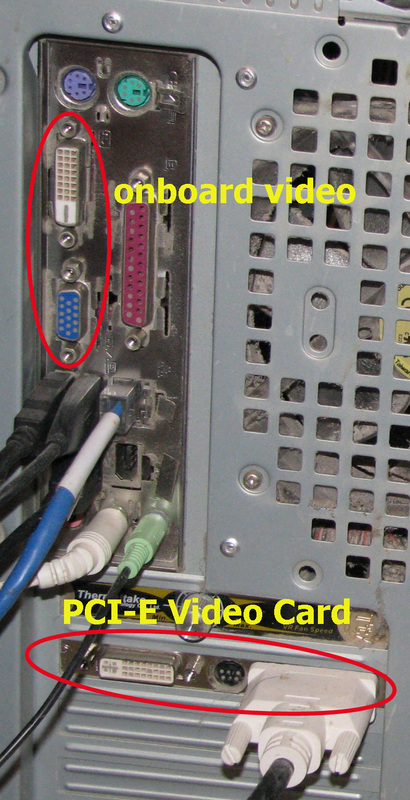 Disconnect the monitor cable from the onboard video output and connect it to the video card's output. Power up the computer. When Windows loads, log in with the administrator account. Insert the CD with video drivers into the computer's CD/DVD drive. Follow the prompts to install the appropriate video driver on your system. Restart the computer when prompted. 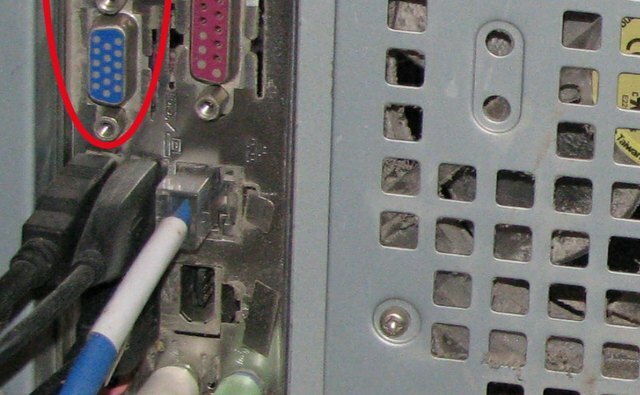 Older computers might not have a slot for a PCI-E video card. They may require AGP or PCI cards. Consult your manual to make sure you purchase a compatible video card. The onboard video is automatically disabled when an expansion video card is installed.